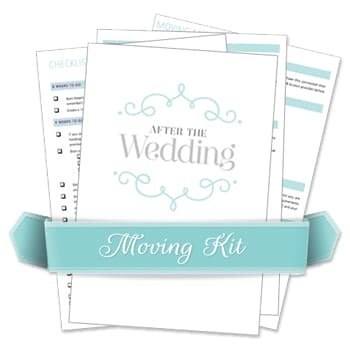 Our marriage name change kit will have you changing your name after your wedding in a flash! It includes a huge checklist for your name change, instructions for the most common businesses and organisations you will need to contact, forms you will need to use when changing your name after marriage, letter templates and a massive company contact directory. How much time would this save you? Our brides estimate they've saved up to 12 hours and eliminated the need to spend hours looking for instructions online or on hold on the phone waiting for answers. We've packaged everything you need into one handy kit that you can download in less than 2 minutes. Use it on your phone, your tablet or your computer. Refer to the name change instructions and print out your forms as you need them. It couldn't be easier! Find out more about the marriage name change kit here. "Taking the time and stress out of your post wedding tasks"
The most important thing you can do after your wedding, but also the most over-looked thing for newlywed couples - updating your Will! Did you know that marriage cancels any current Wills, (unless you have made a Will in contemplation of your marriage)? Did you know that if you've been married before, separation or divorce doesn't cancel your previous Will? Did you know that if you die without a Will all of your assets and belongings don't automatically go to your spouse? And it gets even more confusing if you have children! If you die without a valid Will the law decides where your assets and belongings go. This applies to everyone and does not take into account an individual’s wishes or situation. (Source: Legal Aid Victoria). If you have a financial situation that is not complex, the easiest way to make a Will is to use a Will Kit. You don't need a solicitor, and it can be a quick and easy way to make sure that your wishes are documented. We have the best value for money will kit for couples out there, you can even get a free will kit with your purchase of the marriage name change kit. Drop on over to our will kit section and take a look! Just because your wedding is over doesn't mean your to-do list is all checked off. What about all those after the wedding tasks? Like thank you cards, dry cleaning your gown and husband's suit, changing your name, compiling your wedding album, giving back all the things you've borrowed... and the list goes on! 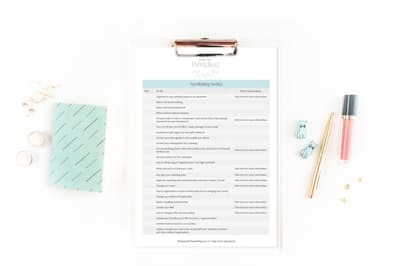 Use this free post-wedding checklist, to make it all happen! Are you moving, either before or after your wedding? Our moving kit is 100% free and will help you plan and execute your move with less hassle. Advice, tips and moving checklists that will get you organised started weeks before you moving date, right down to moving day. Find out more about our free moving kit.